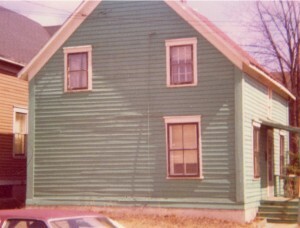 In a now-demolished turquoise house at 107 Wesley Street in Moncton 79 years ago today, my grandmother gave birth to a baby boy who was to become my father. I’ve been thinking about that house a lot lately since my father’s been in the hospital for several weeks. It was a two-storey house that by today’s standards would be declared a fire trap. Oh, I’m not trying to be mean. Anyone who remembers it well will tell you it’s a miracle the place didn’t go up in a puff of smoke. Years ago, before Moncton had natural gas from Nova Scotia’s offshore, the city’s downtown natural gas supply was from Albert County. Some may think natural gas is a relatively new fuel for Moncton. It’s not. My grandmother cooked on a stove that used natural gas. To ensure users can detect a natural gas leak, a chemical is added to it that makes it smell like rotten eggs. That’s what I remember my grandmother’s house smelling like all those years ago. The place was one big gas leak, basically. And yes, people smoked cigarettes like crazy, too. I’ve also heard stories about how the pipes from the stove used to send heat to the upstairs had a bit of a gap in them. Flames could often be seen inside. Oh, it gets better. One thing I remember clearly were the walls in the living room. They were soft. My grandmother would use old clothing to insulate the walls and then patch up any holes with wallpaper. You simply had to push on the wall with your index finger and you’d leave a dent. With nine kids, two parents and a large number of other relatives calling 107 Wesley home, a fire would have been beyond disastrous. I remember the bathroom being just awful. The toilet was something that should have been replaced decades before. Hot water? There was none. Until they moved out in the late 1970s to live with my uncle and aunt, they never knew what hot water was unless they heated the water on the stove in a large pot. While impractical and slow, it was just reality. One result of this was my grandmother’s incredible ability to put her hands in near-boiling water without even flinching. I was always amazed by that. I’m such a baby, I practically weep at my delicate little sausage fingers touching merely tepid water. I’m sure she’s ashamed at me for even admitting that. After all, her ability to withstand near-boiling water could have earned her a place in a circus side show. The staircase to the second floor was as narrow as could be. Unless they were as thin as matchsticks, I doubt two people could have passed each other on the stairs. The (really gross) bathroom was at the top of the stairs. Inside, a bare light bulb hung from a wire out of the ceiling. To turn it on, you pulled a chain. At the top of the stairs, my grandparents’ bedroom was on the right. For some bizarre reason, the house was designed so that access to the boys’ bedroom was through my grandparents’ room. I guess that was one way to ensure no one came home late when they were teenagers, eh? To the left of the stairs was the girls’ room and another small bed in the hallway. Over the years, of course, a number of great-grandparents, aunts and uncles lived there at some point. The house was a bustling place, with the kitchen filling up with smoke often from the hot cast-iron griddle used by my grandmother to make her famous buckwheat pancakes. That house saw a lot of history. I only remember sleeping there once, though. My brother and I stayed there for a few days when my mother was in the hospital after giving birth to my sister. My father needed to work, so my grandmother took care of my brother and me. I remember crying for my father not to leave whenever he came to see us. It was only for a few days, but it felt like forever. These days, the crying is being done by my father as he lies in the hospital waiting to find out if he’s going back to his special care home or whether or not he’ll have to adapt to a new setting in a nursing home. In 2012, 45 years after I cried for him not to leave my brother and me at our grandparents’ house, I’ve seen him crying out of frustration a few times as he lies in his hospital bed pondering the future. I do my best. I try to calm him down. As time moves on, though, it’s becoming more difficult to remember ever having looked to him for leadership and discipline. The roles are so dramatically reversed, these days. The memories of the way things used to be seem to be fading. Today, he’s the one with not much control over what’s happening to him, and his children are the ones looking out for his wellbeing. The innocent times of that turquoise house at 107 Wesley are nothing but a memory now. There are only a couple of people still alive today who actually used to live there. My father’s one of them. I’m sure he’d sometimes love to go back to those times – a time when they didn’t have much, but at least they had their health. 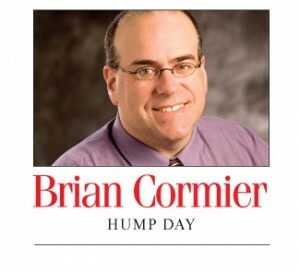 What a beautiful article, Brian. My thoughts are with you and your father. It has been very touching to read of his progress over the past few months. Thank you so very much for sharing. Thanks very much for the kind words, Margaret. If memory serves me correctly, I think your father weighed over 13 lbs at birth. I believe your father was the biggest of mémére’s babies. Never heard the story about how big Dad was when he was born. Ooey! They probably heard the screams all over Moncton! Yikes! Yes, Dad was always a heavy sleeper. They’d have to yell “Fire!” to wake him up.